U.S Cellular is a little behind with its Galaxy S3 version as most carriers have received the Jelly Bean update already, and the 4.1.2 update is already out. This week we found out from a press release that the US Celullar Galaxy S3 will get the Jelly Bean update thi Friday. Of course, the update will provide the rich notifications and Google Now but also Samsung’s Touch Wiz user interface. 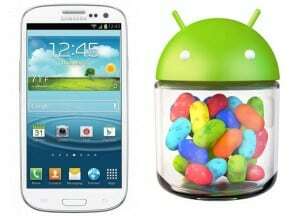 Samsung also provides other features besides the Jelly Bean added features. For example we have the Swype keyboard, the blocking mode, notifications and alarms at preferred times, Pop Up Play updated to make video resizing and pausing a lot easier. Samsung also adds a new interesting feature called Easy Mode. This feature is for first time users of the UI and makes the UI easier to use. But you usually get over this feature very quick. A new addition to the camera allows users to pause during video filming. This allows you to take video captures of different moments without later editing the video. Regarding the update, it will be available via Kies and OTA of course.